As per North Indian Purnimant calender's Karthika Masam begins on Wednesday 28th October 2015 and ends on Wednesday 25th November 2015.That is on Kathika Pournami Day. According to Amavasyant calender's, Karthika masam starts on Swasthi Sri Chandramana Sri Vijayanama samvathsara Karthika Sudha Poudyami Thursday 12th November 2015 and ends on Friday 11th December 2015. 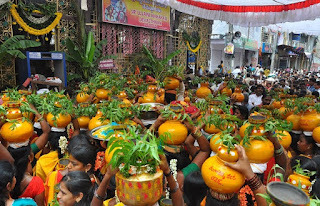 Karthika Masam is the eight month according to the Hindu calendar. Karthika nakshatram falls during Purnima (full moon day) in this month hence called as Kathika Month. Karthika Masa Telugu calendar 2015 Shukla Paksha is from Thursday 12th November to Wednesday 25th November. Krishna Paksha is from Thursday 26th November to Friday 11th December. Starting from Monday every evening at 6.15 pm Aakasa Deepaardhana and Shiva Abhishekam will be performed. Kathika Month every Monday is dedicated to Lord Shiva. Kathika Month is very auspicious and holy month in Hinduism. Karthika snan is considered highly auspicious in this month. Kathika Month devotees observe fasting especially on Monday and on that day Karthika somvar vrat will be observed. In the evening devotes will went to lord Shiva Temples and light the lamps in the front of the god and offer aarthi, prayers to the god. Lord Shiva temples will be filled with most of the devotes. Kathika Month importent festivals celebrated in this month are Diwali, Karthika purnima, Karva Chouth, Nagula Chavithi, Gujarat New Year and Dhanteras. 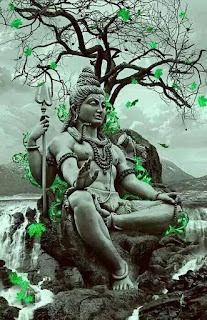 Visiting the Lord Shiva temples will be auspicious in this month.